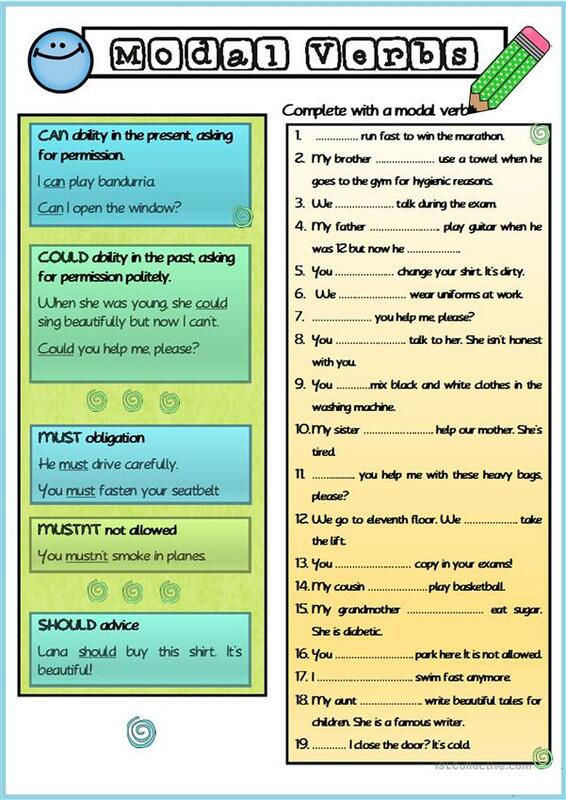 A basic explanation modal verbs - can, could, must, mustn't and should - for elementary level. 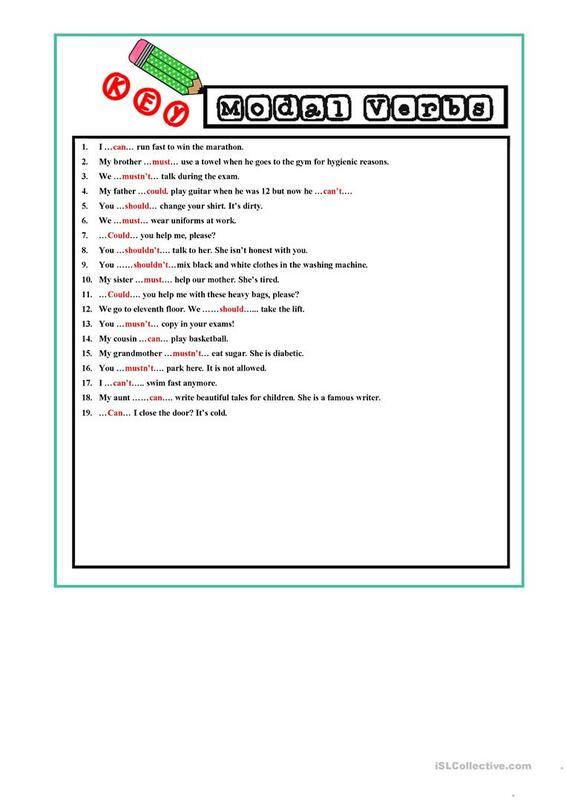 The above downloadable handout is recommended for elementary school students and adults at Pre-intermediate (A2) level. It is aimed at practising CAN or COULD, Modals, MUST or HAVE TO (obligation), MUST or MUSTN'T and SHOULD in English. The answer key is provided, too.